"So I have a question... Have Disney Princesses invaded your nest? I have a nearly 4 year old who is princess-crazy. This obsession leads to hours of imaginative play, colouring in, reading and story telling. But conversely there are so many negative associations with the princesses - antifeminism, consumerism, external beauty etc. Does unschooling embrace any interest? Or would it limit/redirect some?" Yes, Disney Princesses have invaded our nest from time to time. As has Barbie. The owlets have pocket money that they spend each week on what they like. They have bought themselves Barbie dolls at a garage sale and Princesses on a wander through a department store... I don't love them. They know this. But it isn't about me. We don't go out of our way to buy them or give them as gifts, but if an owlet takes it upon herself to buy Barbie or Princesses, we figure it must be important to her. We encourage her to make her own choices based on the information in front of her. We nurture her interest in a broad sense and use it as an opportunity to provide an ethical and feminist critique. Little Owlet is particularly enamoured with dolls and princesses of all kinds. She loves Cinderella best of all, I suspect because she also has a thing for shoes. Rather than just watching Disney movies, we read old fairytale versions that are slightly different to the ones she knows. We talk about the characters and what their lives are like, why they've been written to assume certain roles. We look at alternative depictions of the princesses Disney has chosen. We read fairytales with strong female characters, or twisted fairytales. We talk about real life princesses and what it is they do... We play with Barbie and we look at her body and discuss it in context to our own. We talk about her clothes. We talk about who might have made her and how and we imagine what it might be like when Time Team do an archaeological dig in 500 years time and discover a layer of Barbie and Princess dolls.... The owlets spend hours colouring, playing, acting out stories, reading (as Natalie mentioned), and doing puzzles. They know they are not beautifully made, or lovely to hold, but they love to play with dolls of all shapes and sizes, because the game is what's important to them. For more on Princesses and feminism, you can't go past Unschool Monday regular, Sazz. And Shae captured it all beautifully with this post on what she wants her daughters to know. 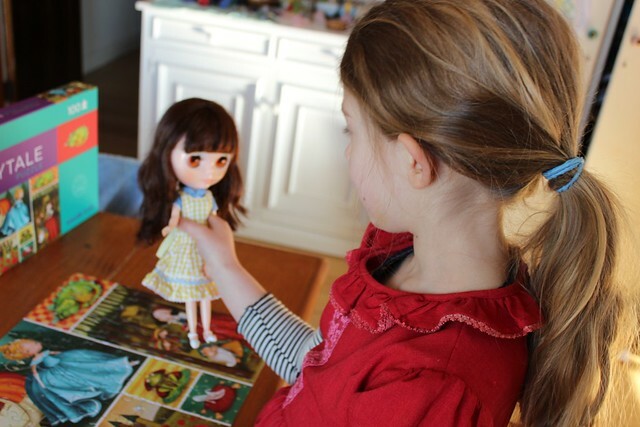 Oh, and this fabulous post by Wildecrafted, on Barbie and even some doll customisation. Love this. Just love it. We have a Bindi Irwin doll in with the barbies as she has flat feel and a child's body. ahhh the barbie battle. I lost mine LOL Mind you barbie usually drives a tonka truck here to take her homies on world trips with the pets (LPS) and polly pocket. Thanks for this post! Lots to think about. I especially like the idea of exploring real life princesses. And when I feel particularly irritated, I remind myself that I adored my Barbie dolls as a child (with my two sisters!) and they haven't corrupted me. It is just such a tough world for little girls these days (I sound so ancient saying that!). But like you say, lots of communication, and hopefully my values will rub off.